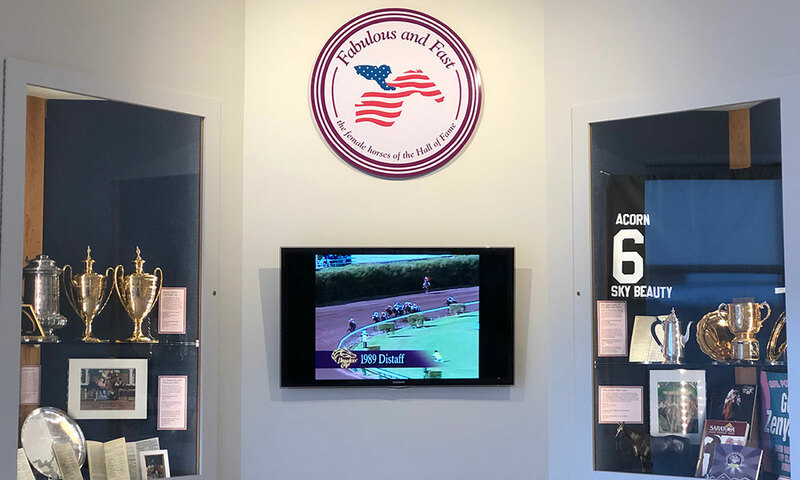 In addition to the art and artifacts on display, guests to the Fabulous and Fast exhibit will also enjoy Hall of Fame induction ceremony highlights, snippets of racing footage and a detailed chart of the female racehorses’ lineages and accomplishments in the sport. 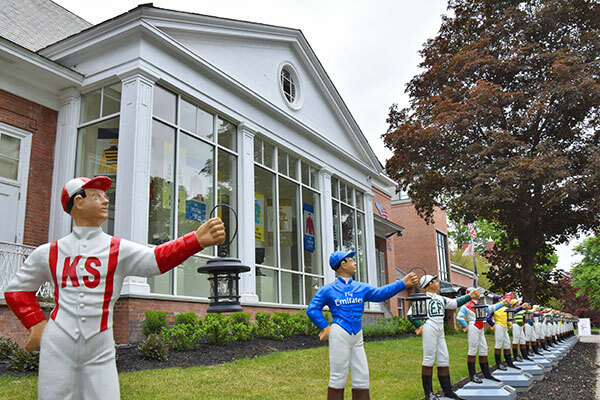 The collection is a genuine treasure trove and highlights include: Beldame’s 1904 Saratoga Cup trophy; Shuvee’s Jockey Club Gold Cup trophies from ’70 and ’71; and portraits of female champions from the 1970s by famed American equine painter Richard Stone Reeves. Museum-goers can also visit the nearby Racing Day Gallery for a special photo opportunity with retired racehorse superstar Rachel Alexandra, winner of the 2009 Preakness Stakes. Back in ’09, Rachel Alexandra became the first filly to win the Preakness Stakes in 85 years (she was also named 2009’s Horse of the Year at the Eclipse Awards). The Fabulous and Fast exhibition runs through December 31 and will serve as a teaser to the museum’s upcoming Women in Racing exhibition, which will highlight the diverse roles of women throughout the history of the sport. The Women in Racing show is slated to open on July 20, just a week after the opening of Saratoga Race Course.